What Reenie Reads | Live to read… read to live. I just finished reading this series for the fifth time (or so), but I remember that when I first looked at these books, they didn’t grab my attention. Maybe I was put off by the seemingly-disconnected opening of the first book, A Penny for Your Thoughts. Or maybe the titles struck me as trite. Whatever my objection, I’m glad I got past it and started reading. Every time I enjoy these books, they teach me a lot as a writer. 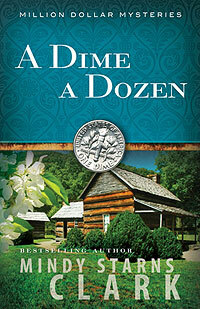 I confess I read with a bit of envy, for Mindy Starns Clark designed The Million Dollar Mysteries brilliantly. 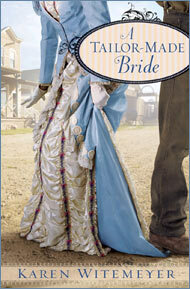 The series’ heroine is a young widow, Callie Webber, a private investigator. In each book, Callie investigates a charity that’s applied to receive a grant from her millionaire philanthropist boss, presenting cheques to those charities that earn her approval. While she investigates the charity, Callie also solves a complex mystery that happens to occur at the same time. Each story features a distinct charity and a unique mystery in a thoughtfully-researched setting. You could read only one of the books, or read them out of sequence, and enjoy them very much. Yet, if you did, you’d miss out on the richness of the larger stories the author has woven throughout. One of those larger stories is the developing relationship between Callie and her mysterious boss, Tom Bennett. You might have predicted that. There’s nothing predictable, however, about each book’s plot, or about the way Tom and Callie’s relationship grows. Plot development is complex and unpredictable, highly unusual but totally believable. The stories are written in first person, from Callie’s point-of-view, and the author keeps a tight rein on what the reader is allowed to know. We know only what Callie knows, and we learn more only as Callie learns more. Looking back, we realize the cues to the final conflict were building all along, but Callie doesn’t recognize them at the time… so we don’t either. Well done, Ms. Clark! Callie learns a lot over the five books, and she grows accordingly. But the author wisely maintains Callie’s essential character and personality. Unlike what I see in some novel series, Callie isn’t a chameleon, taking on different personalities in accordance with the author’s whims, adapting to fit the twists and turns of plot. All in all, The Million Dollar Mysteries is a terrific series. I hope you’ll check it out, and read it all the way through. 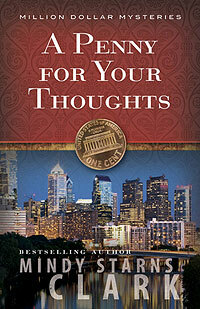 If the first few pages of A Penny For Your Thoughts don’t grab you, please keep reading. The action will pick up within a few pages, and soon you’ll be hooked for the whole five-book ride. Purchase autographed copies from Mindy’s website. Or borrow them from the Calgary Public Library or your local public library. 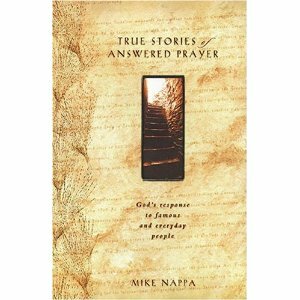 I read True Stories of Answered Prayer in one afternoon. Every chapter, only 2-3 pages long, is a true story of how God answered prayer in someone’s life. Children, men and women did the praying. Some are famous. Many are unknown. Their prayer stories span childhood and adulthood. They prayed about money, about health, about relationships. They prayed for wisdom and direction, for safety and protection. They prayed about details and huge events. They prayed urgently for their needs to be met and gently for things they only wanted. In every single case, God answered their prayers, in His own way, in His own time, always saying yes. I needed this book’s reminder that I should keep praying because God does answer prayer. It’s a smooth-to-go-down lesson that He is listening, He does care, and He does respond. If you have moments when you doubt that anyone is listening to your prayers, pick up True Stories of Answered Prayer and set aside a couple of hours to read it. I think that, like me, you’ll be glad you did. The book is simply written, so it’s an appropriate read for teens and even older children, as well as adults. I read it in hardcover, but it’s also available in e-format. You can borrow it from Calgary Public Library or your local public library, or purchase it from Amazon. Of all the good books I’ve read this summer, Lady in Waiting is the very best. I read it twice this summer – half in paperback first, then the entire book on Book CD. It was worth every minute. Lady in Waiting is the story of three women. 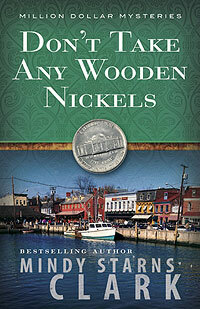 Jane Lindsay, a contemporary fictional character, is an antique store owner whose husband has just left her. She tells her own story. Lady Jane Grey is, of course, the historical Nine Days’ Queen. Lucy Day is Lady Jane Grey’s fictional dressmaker, who tells Lady Jane Grey’s story along with her own. The women’s stories become intertwined when the modern Jane Lindsay acquires an ancient betrothal ring engraved with her name: Jane. Research leads her to conclude the ring belonged to a woman from Lady Jane Grey’s era, quite possibly to Lady Jane Grey herself. Each of the stories — two historical, one contemporary – is developed in marvelous detail, and is consistently, believably, thoughtfully told. The fact I learned the story of Lady Jane Grey as I read was a delightful bonus. She is not only a long-ago character to me, but a living, breathing woman. Susan Meissner did a terrific job of researching and writing this book. After reading Lady in Waiting, I re-read her earlier novels, discovering how much her writing has grown. She who’s always produced good stories is now writing better than ever. If you like a good story, if you like historical fiction, or if you’d like to learn more history but don’t want to read a textbook, I strongly recommend Susan Meissner’s Lady in Waiting. Purchase it at Amazon or www.christianbook.com. Borrow it from Calgary Public Library or your own local library. Learn more about Susan Meissner. I’m excited to tell you about a new-to-me author: Karen Witemeyer. I’ve read her four historical novels in the past couple of months, and I hope she’ll write more soon. 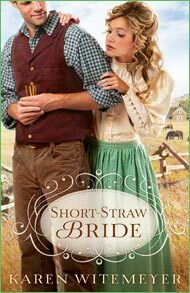 Karen Witemeyer writes about interesting, likeable characters whom I quickly begin to care about, and her word-crafting is very good. Often those factors are enough to make a very good book. Two additional factors set Karen Witemeyer above the crowd. Karen does such a good job of integrating historical information that I feel pleased with myself for learning little-known historical information… without ever feeling I’m getting a history lesson. 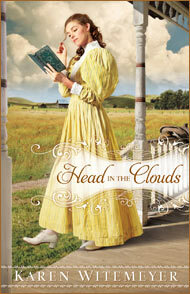 For instance, the characters of Head in the Clouds play parlor games that were played by families in the era of the story. In The Tailor-Made Bride, the female lead character uses exercise equipment and follows an exercise regimen developed by a doctor who lived in that time period. Karen’s plots are richer than the typical plot pattern of most romance writers. She includes lots of action and conflict up front and in the middle, just where I usually expect it. Then, when I think the characters are home-free, and all that’s to be done is clean up the mess, she presents the biggest problem of all – and I always know I should have seen it coming. Then she still brings us to a highly- satisfactory conclusion. Her stories keep me avidly reading til the very last page. 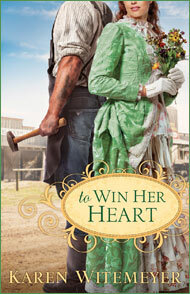 If you like romances, or historical fiction, or both, you’re sure to like Karen Witemeyer’s books. Here they are, sequences from my least to most favorite. If you find them and enjoy them (or not), I hope you’ll write and tell us what you think. 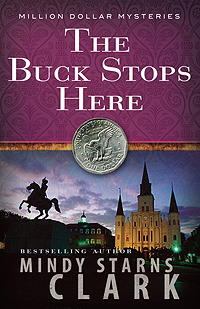 Published by Bethany House, the books are available in paperback or Kindle versions. To obtain them: http://www.karenwitemeyer.com/books.html or borrow from www.calgarypubliclibrarycom or your public or church library. I thought I knew about Louisa May Alcott, but I was curious to fill in the cracks of my knowledge. That must be why I picked up The Woman Behind Little Women at the library. After reading it, I have a fully-rounded picture of her life and work. Harriet Reisen, the author of this biography, was a little girl when her mother gave her Little Women as a gift. Harriet gobbled it up quickly, and soon her grandmother gave her the rest of the Alcott novels. Harriet did the same with them and she’s been an Alcott devotee ever since. The Woman Behind Little Woman is extensive and detailed. At first I found the writing a little heavy, with longer-than-average sentences — and that was when I was just trying to find out if I wanted to read the book! But after only a couple of pages, I was hooked. I read the entire 300+ pages in three days. I now know about the sad parts of her life that Louisa left out of her autobiographical novels. She grew up in a close but unstable family, where her (in)famous father was not nearly as much of a hero as the father in Little Women. I found out that Louisa tried to make money teaching – as did her imitation character Jo in Little Men –but Louisa wasn’t nearly as successful a teacher as Jo was. And although Louisa loved writing, her most pressing and enduring motivation was to support herself and her family – though not a husband and children. Louisa never married, but through all her adult life, her writing supported her parents and her sisters, and even paid off her parents’ decades-old debts. 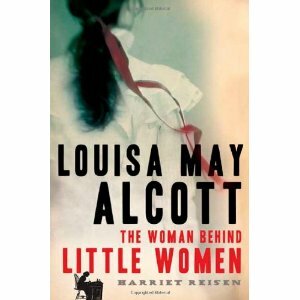 If you love biography and are interested in the strong-but-weak woman who wrote the novels so many of us love, I encourage you to check out The Woman Behind Little Women. Purchase it at from amazon or from goodreads. Or borrow it from the Calgary Public Library or the public library in your community. From the day Irene was born, her sister Terrell looked out for her. No one could have loved Irene more, or been more proud of her, except perhaps her parents and doting live-in grandmother. Irene’s doting family ignored their concerns about her development and pretended she was a typically-developing little girl – until the day she started school. That was in the early 1950’s, when public schools didn’t generally welcome children with differences. Irene’s family was told to keep her at home – and, soon afterward, the medical professionals declared Irene had been brain-damaged at birth. They directed the family to place Irene in an institution, because, in that day, that was standard procedure for children with intellectual disabilities. Irene’s family, however, cherished her at home. They became proactive in developing community programs and residences for people with intellectual disabilities, but Irene preferred being at home anyway. Irene was very loved… but raising her was never easy. That Went Well is the story of Irene’s life, as told by her sister, Terrell. At the time That Went Well was published, Irene’s parents and grandparents have passed away, and Irene and her sister Terrell are in their sixties. Terrell is the only family member left to care for Irene. She still loves her sister. And it’s still not easy. Terrell Dougan speaks openly about the challenges of caring for her sister. I appreciate her honesty about doubting whether she’s doing the right things. I like her openness about what works and what doesn’t… and how it’s sometimes hard to tell those two apart. Reading this book deepened my understanding of what it’s like to care for an adult sibling with a disability. I welcome it for that reason. I also found the book just plain fun. 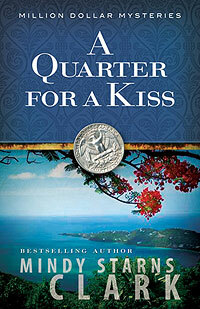 As the title suggests, Terrell has a great sense of humour, and she sprinkles it throughout this book. She doesn’t treat serious things too lightly, but she does often see the funny side of the hardest things. I hope you’ll read That Went Well. Even if you’re not “into” people with disabilities, it may make you laugh. We all need a good chuckle once in awhile. The book may be purchased from http://www.amazon.ca/That-Went-Well-Adventures-Caring/dp/1401323294 or borrowed from www.calgarypubliclibrary.com. Learn more about the author at that-went-well.com.